It charges and pairs just fine, but you may hate the misaligned cutouts and error messages. The iPhone XS looks almost exactly like the iPhone X, and that similarity is leading many people to wonder if they can use Apple’s spiffy new battery cases with the older handset. The answer appears to be a shaky yes, although enough doubt remains that I’m hesitant to recommend taking the $129 plunge. Apple’s official landing page doesn’t explicitly say that the new case doesn’t work with the older phone. It only lists the iPhone XS under Compatibility. Initially this led to much gnashing of teeth on social media centering on supposed forced upgrades, but plenty of iPhone X users across Twitter are now reporting that it works fine. 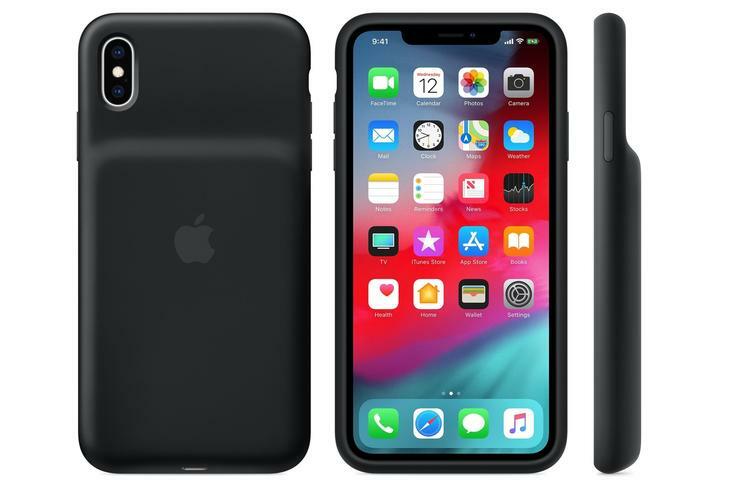 Over on the MacRumors forums, a commenter named beerfish89 also posted a photo of his new battery case doing its job perfectly with the iPhone X.
Rene Ritchie of iMore tested the case and initially tweeted that it didn’t work, including a photo showing an error saying that "This accessory is not supported by this device." He later apologized for that report while citing "inconsistent" results, stating that it works fine if you dismiss the popup. Still, it sounds like a hassle and the fact remains that the iPhone X differs enough from the iPhone XS that you’ll have to deal with cutouts for speakers and the mic that don’t line up as neatly. (Notably, I’ve seen no one complain about the hole for the camera, which was a common problem when iPhone XS buyers were first trying to use their old iPhone X cases with the newer unit.) The speakers won’t be much of a problem for most users, but I’m currently not sure how much the mic issue affects calls and Siri issues. And this wasn’t even the only controversy—this case feels like a magnet for outrage. Earlier this morning there was another kerfuffle after Wirecutter’s Nick Guy tweeted that the cases’ 1369 mAH battery was smaller than the batteries used in their predecessors. Again with the gnashing of teeth. As it turns out, though, the new cases actually have a 13 percent larger capacity than their iPhone X predecessors because the voltage has been increased. Much like Ritchie, Guy deleted his earlier tweet and replaced it with a correction. So yes, it’s probably safe to get an iPhone XS battery case for your iPhone X. You’ll just have to live with the occasional error message and some cutouts that don’t align, but if you can stomach that, you’ll have a case that both has a higher battery capacity and even looks a little better than the awkward thing Apple released last year. I admit I’m a little worried that Apple may release a patch that cuts out compatibility for real, but that sounds like a monstrous PR disaster waiting to happen. This is one of the reasons why I always like to test Apple products to see if they really are incompatible, as I did with the new Apple Pencil and the old iPad Pro back in November. Sometimes we’re surprised, and in a good way.